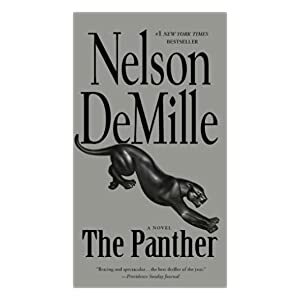 This month's book is "The Panther" by Nelson DeMille. DeMille is a particular favorite of Susan's. The last DeMille book we read was in April 2012, so we are LONG overdue for a revisit to his witty sarcasm and first-person writing. The previous book from DeMille is here. This book puts Anti-Terrorist Task Force agent John Corey and his wife, FBI agent Kate Mayfield, in Yemen after the USS Cole bombing. Paul Brenner, the character from Up Country --- the book we read before --- also appears in this book. The topic is terrorism and the War on Terror. A suggested podcast to listen to is called "60 Words" produced by RadioLab. It is the legal basis of all of actions taken by the United States against terrorists.